We know you’ve been begging for Ford for a new Bronco, and no one can deny that the 2004 Bronco concept still looks cool today. Well somebody took the matter into their own hands, turning a humble Lada into a surprisingly clean execution of this design. 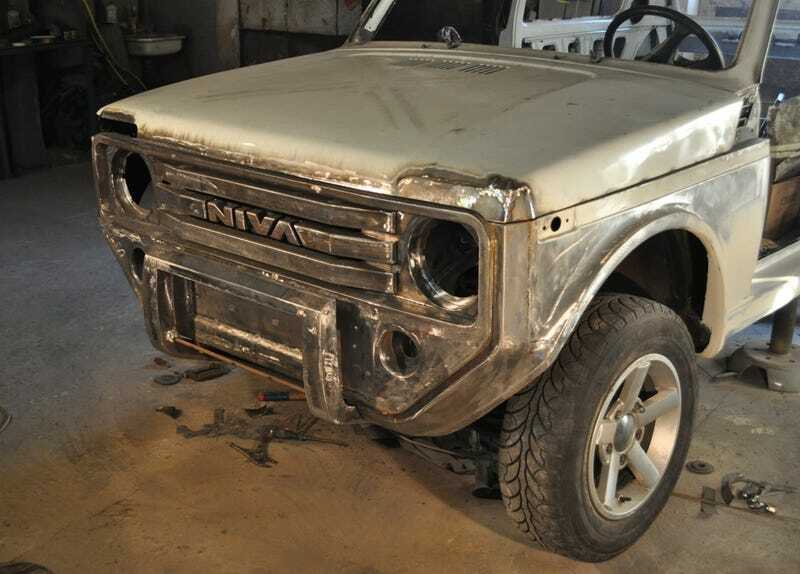 Starting with an AvtoVAZ Lada Niva 4x4, somebody called “Cliffsad” seems to have cut and welded a front grille and rear tailgate that match the old Bronco revival perfectly. At least, as an adaptation for the little lifted Russian economy car. After painting and connecting the lights, the build ended up as one of the cleanest customizations I’ve seen in recent memory. AutoForum.cz has a great gallery of the completed car at rest in the field. It is wonderful. You must look at it. And instead of grumping and moaning about Ford or Jeep sitting on all these excellent designs, get inspired and put one together yourself! No, I know, not everybody’s got the aptitude to do that. I certainly don’t. But I love that somebody does. Big props to you, Cliffsad, for making this Russian Bronco baby. Hope it’s still running strong!